Previously limited to connections synced to iCloud, watchOS 5 lets you connect to the WiFi network of your choice, manually. 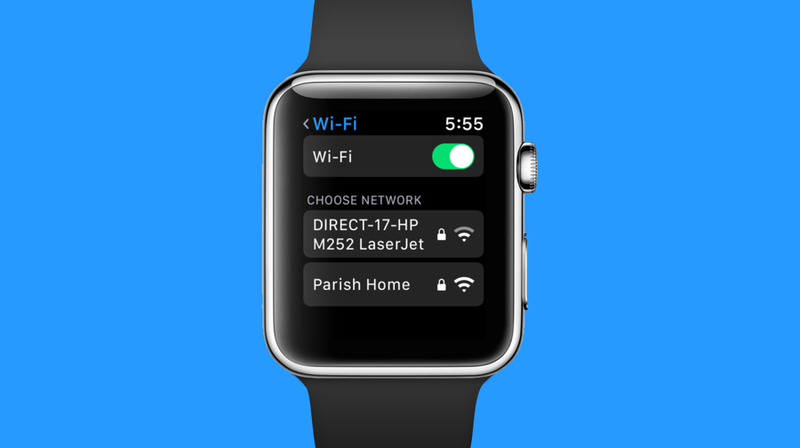 If, for some reason, you are out of range from your iPhone or if Bluetooth is turned off, your Apple Watch will automatically connect to WiFi to sync data, provided you’ve connected to that network before using your phone. So basically, if you are out and about without your iPhone in unknown territory, your wearable will stay disconnected until you approach a known network. You don’t have control over WiFi at all. With watchOS 5, all of that changes as it allows you to manually connect to any WiFi network as long as you know the password if it’s a protected network. You can access this setting by going to Settings > Wi-Fi on your Apple Watch running watchOS 5 Beta. Quite frankly, this is a very, very awesome feature as it allows you to stay connected to WiFi as long as you are in a bad coverage area or maybe your iPhone’s battery has died for some reason. If you connect to a password-protected WiFi network, you can simply type in the password by scribbling on the screen with your finger. It’s the same process as typing any text on the display, extremely familiar as well. This feature will also prove useful to those who have an LTE Apple Watch Series 3, as it can help you save a lot on data or even battery life. But the way I see it, it’s a convenience which should have been there for a long time. But now that it’s here, many users are bound to celebrate its arrival when it’s available for everyone some time later this year.